Possibilité de faire inscrire vos initiales ou prénom en paillettes argentées, à l'extérieur ou à l'intérieur! 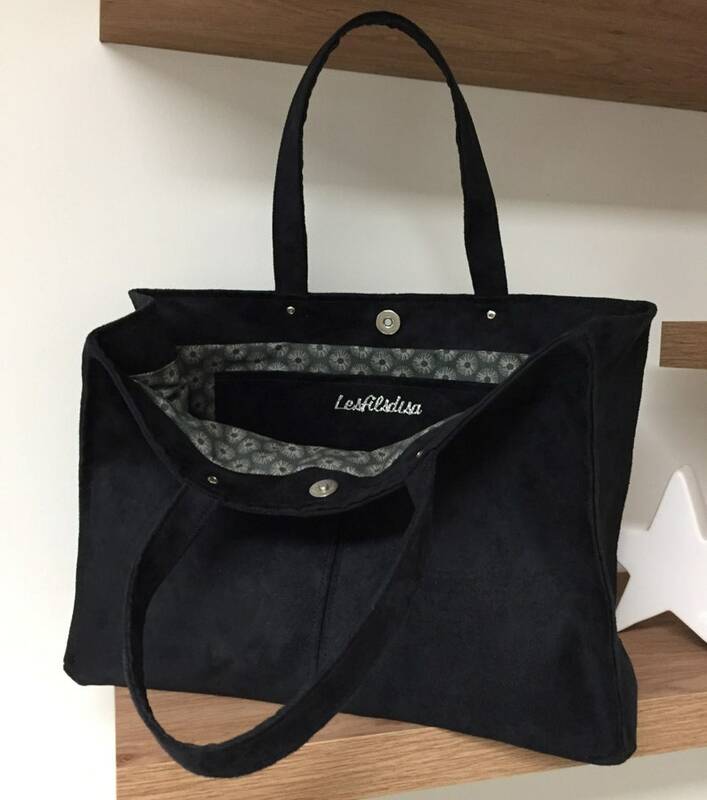 Shopping bag, tote bag, shopper bag, customizable handbag, entirely made here in soft-touch black suede, suede look. A shopping bag with an ideal capacity for daily use and a practical shoulder bag! Two riveted handles in black suede, 40 cm long, making it easy to wear on the shoulder even on thick clothes. A silver magnetic clasp closes the bag opening. The inside of the bag is fully lined with a pretty cotton fabric printed in harmony with the elegant appearance of the bag. An interior patch pocket in black suede to slip small items into. The finishes of this bag are very careful and, as a professional, I offer you "the satisfied or refunded guarantee"! You will receive it with a tracking number of your package, nicely packaged and well protected, ready to offer!